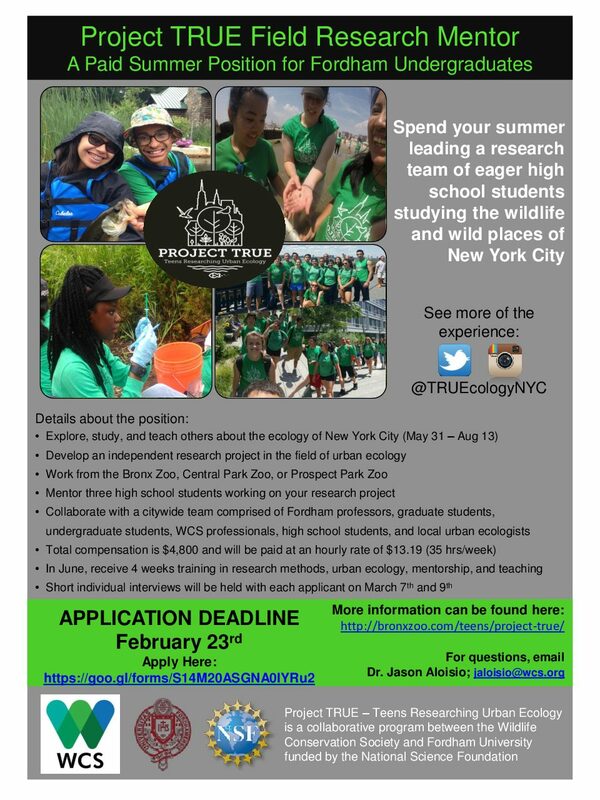 Fordham University and the Wildlife Conservation Society are recruiting current Fordham undergraduate students for summer 2018 to be part of Project TRUE (Teens Researching Urban Ecology). Project TRUE provides high school students an opportunity to engage in hands-on field research under the mentorship of an undergraduate Field Research Mentor. Field Research Mentors will be trained on research methods and effective mentoring practices and will develop independent research projects.